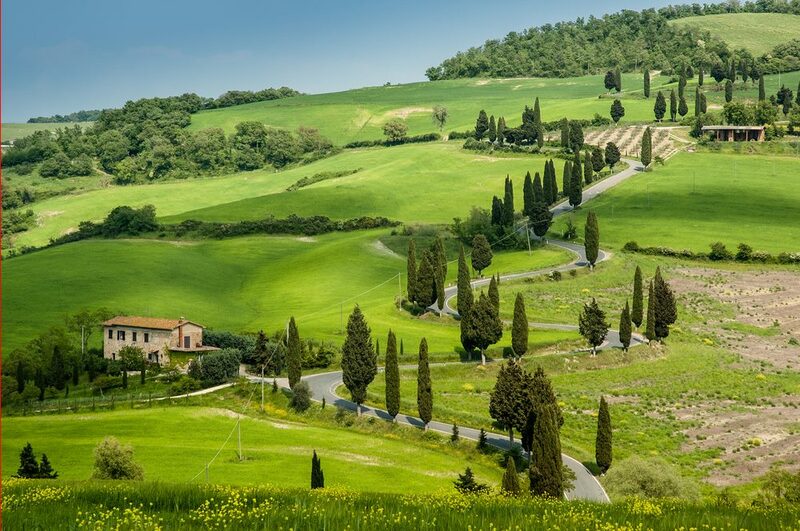 We fondly remember our first trip to Tuscany. We stopped at a little cliff-side restaurant with a panoramic view of the countryside. The cypress trees reached to the sky at each of the little farms in the distance. It was so beautiful and hot! Since we had just arrived in Italy and this was our first trip, we wanted to eat in little places outside the cities. Once you leave the tourist areas you get to eat “real” Italian food. Italians have a way of creating exciting food using a few quality ingredients without much fuss. That’s Cucina Povera or the Peasant Kitchen. We admired the views as we waited in anticipation for lunch to arrive. Today it would be Insalada Verde (Green Salad) and Spaghetti a la Limone (Lemon Spaghetti). Of all the pasta we have eaten in our travels it has to be said that this one stood head and shoulders above all others. The flavors of lemon, garlic, peppery olive oil and fresh herbs make this a light but exciting pasta dish. 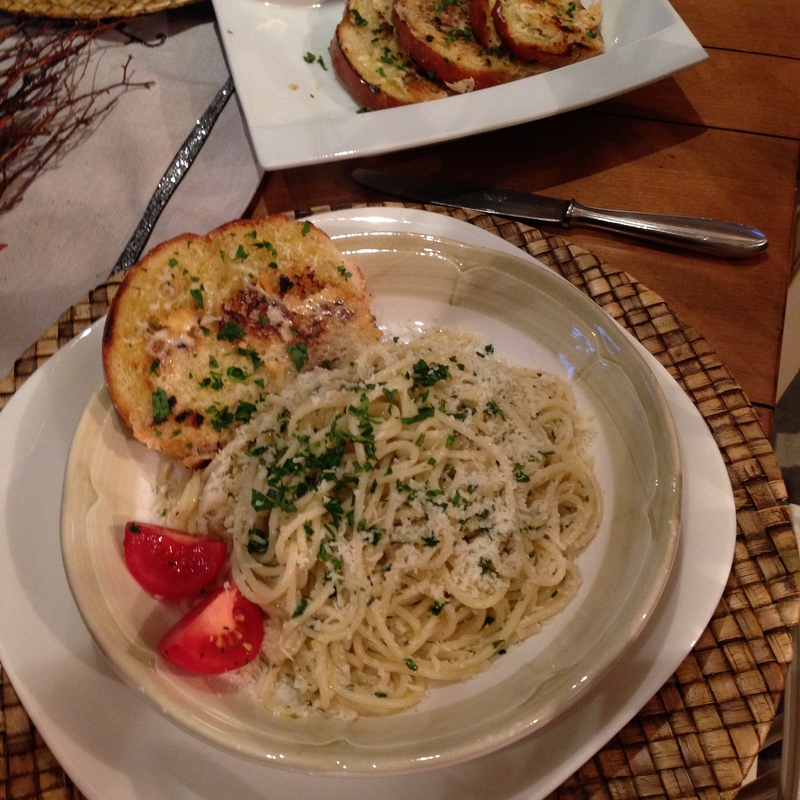 The Parmesan gives it a richness that completes the experience. We enjoy making this fast and easy pasta when we’re busy or when the fridge is empty. 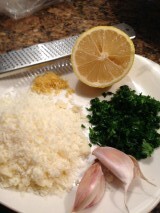 At our house you can be sure that even when there’s “nothing to eat” we will always have lemons, garlic and fresh herbs. The pantry may get low but no so much that you can’t find some type of pasta to save the day. We hope you’ll try this simple delicious dish when you take a break from eating meat. We love meat based meals but each week we make the effort to have at least two meat-free dinners. In a large pot boil salted water to cook the pasta until Al Dente. While the pasta is cooking, put all ingredients (except Parmesan) into a large skillet and just warm through for a few minutes. You do not want the garlic to get brown. The moment the pasta is done lift it out of the pasta water with tongs or a pasta fork directly into the skillet. You want a bit of the water to create a sauce. Toss to incorporate all ingredients and serve. Sprinkle with Parmesan and reserved parsley. Drizzle with a bit more oil and Mangia!